Food Innovation and Resource Centre – Do You Know These Foods Are Created In A Poly? While food news in Singapore has always been focusing on new restaurants and cafes lately, I thought it would be interesting to take a look at what ‘new food’ Singapore has created. Yes, food products right at our homes. 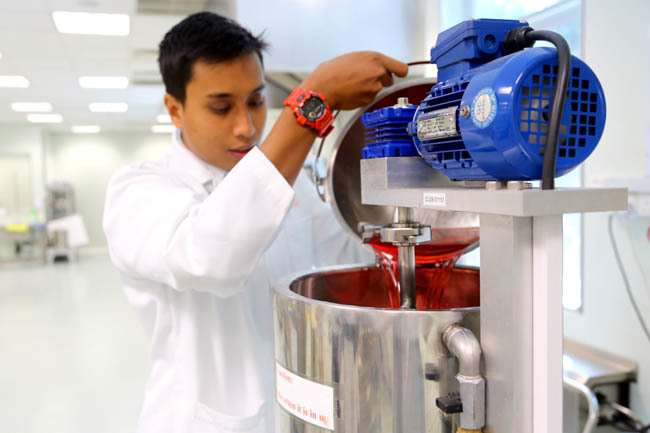 Perhaps not many have heard of Food Innovation and Resource Centre (FIRC), which was launched back in 2007 at Singapore. Their role? To provide food enterprises with technical expertise, and consultancy in new product and process development including packaging, shelf life evaluation and market testing. I went down to the centre to have a lab and kitchen tour, and was an eye-opener to see how professional the team was – in their test kitchens, laboratories and manufacturing machines, tasting a yet-to-be released Honey Soda Water in the process. Many F&B companies approach FIRC for the latest innovation and to source for equipment to increase their productivity, a more urgent priority since the government began clamping down on foreign manpower. FIRC has worked on hundreds of projects. Here are five of them. You may have seen their easy-to-take-away soups at Plaza Singapura and Junction 8. 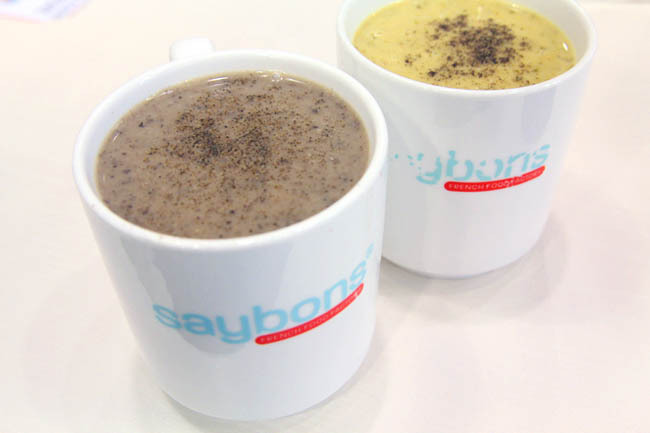 Saybons is known for their classic and delicious French inspired soups such as Wild Mushroom, Potato & Leek and Seafood Bisque. The tough issue was: the soups could not keep long and resulted in huge wastage. FIRC came in, conducted a process study, and advised them on getting new machinery. Production processes such as controlling the stock rotation, consistency, and packaging were improved. Shelf life went from a few days to four weeks without the use of preservatives. Saybons thus was also able to sell their soups wholesale, expanding beyond their initial small outlet. Wholegrain based products have been gaining more attention due to its potential health benefits such as lowering risks of heart diseases. 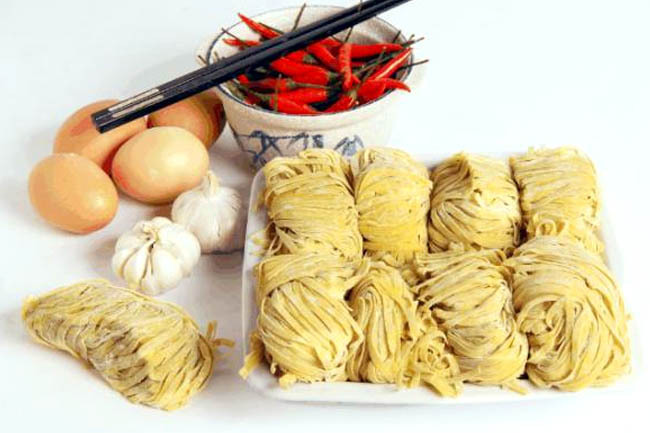 Home-grown noodle supplier Leong Guan wanted to introduce healthier noodles, but hawkers reflected that they were unwilling because cost would be higher. After scale trials by FIRC, they came up with whole grain ‘mee kia’ with improved colour, taste and texture. 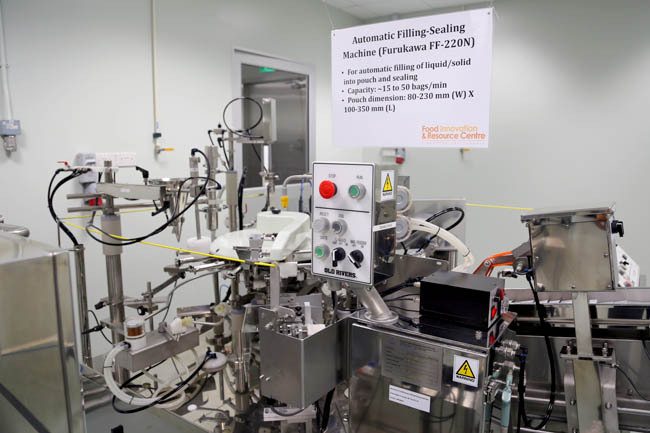 Leong Guan also realised the power of economies of scale, gathered two other noodles manufacturers, and pooled resources together to reduce logistics needs. So the result was healthier wholesome noodles at a lower cost! 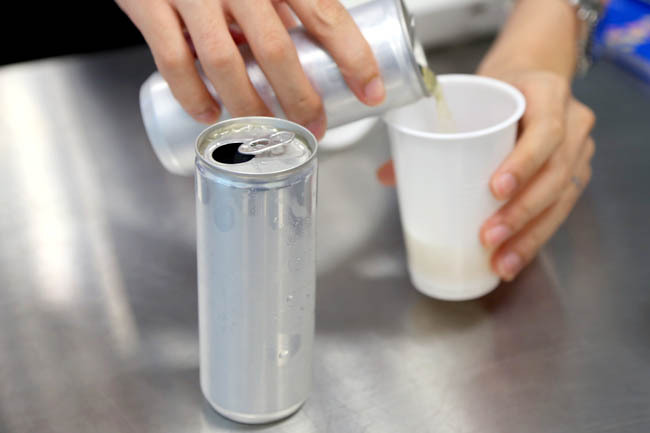 Perhaps Singapore Poly’s most commonly heard success story was the development and eventual sales of commercial canned drink products such as the Pokka Lemon & Kalamansi drink. 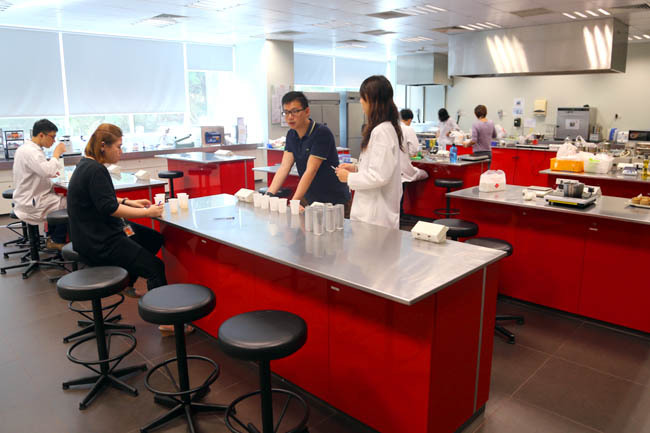 Maybe some of you did not realise it was developed right in Singapore, in a school lab. We have seen buckwheat being used in noodles. FIRC, after being engaged, managed to develop ready-to-drink Buckwheat Green Tea. 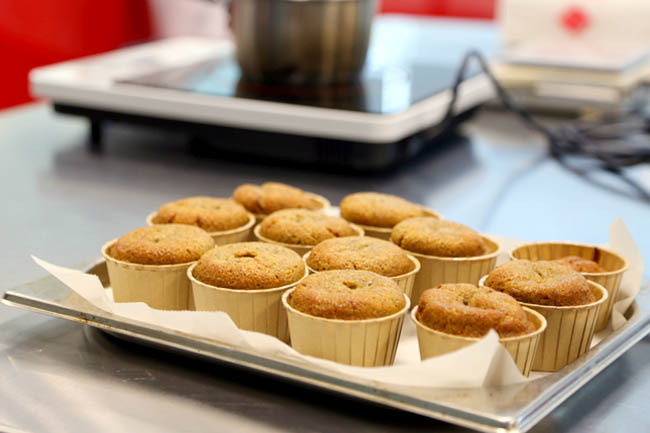 It was tough initially because they needed to balance the taste of roasted buckwheat with a more delicate green tea. The result was another completely tasty new drink product in the market. The name of the drink already sounds good. 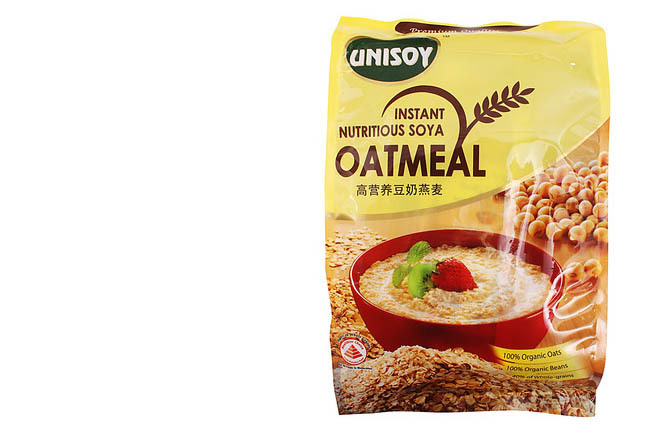 Unifood International wanted a new product to cater to the needs of lactose intolerant consumers. FIRC managed to help balance the proportion of malt, oat and soya for well-rounded flavour, and this organic soya milk beverage eventually became quite popular. The product also has double the required amount to qualify for the Healthier Choice Symbol claim. Other than creation of new products and consultancy, companies have collaborated with FIRC to improve processes through the use of modern technology. Confectionery retailer Columbus Bakeries ended up with a customised frozen dough grating equipment the size of a small footprint size that was easily installed into their existing retail outlet. The result? Productivity improved by 700%. Only one worker was needed to complete the grating task in less than an hour. This would have otherwise required two workers to complete in half a day. 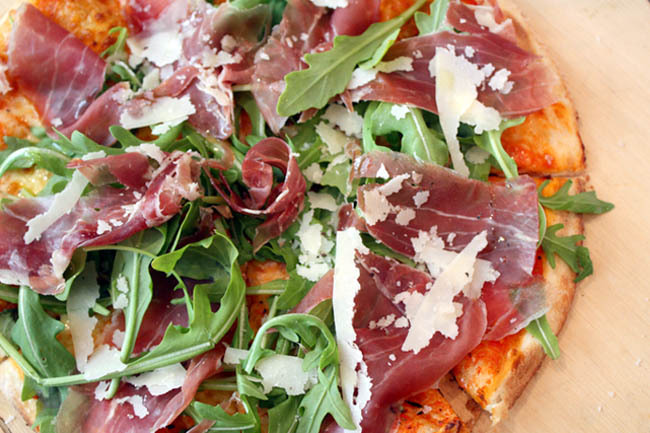 Other notable food products in the past included popular Western restaurant LENA’s pizza base and Dodo’s fish ‘luncheon’ meat. Currently, they are helping a home-based soup maker create packaged Chinese soups, which recipes are handed down from her granny. This visit got me thinking that dreams can be turned into reality – we just need to find the right resources and be open enough to try.